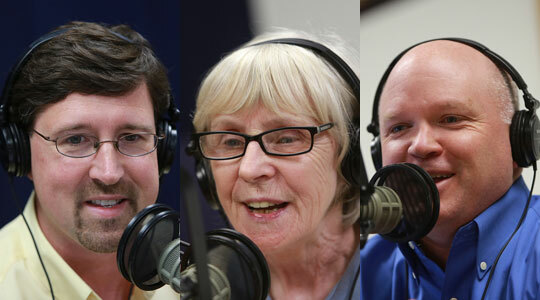 Summary of today’s show: Our panel of Scot Landry, Susan Abbott, Gregory Tracy, and Domenico Bettinelli looked at the headlines of the week on Thursday, including a special Pentecost vigil Mass with Cardinal Seán and members of ecclesial movements and ethnic communities; 10 new graduates of the Master of Arts in Ministry program at TINE; the Archdiocese is looking for a new director of pastoral planning; Fr. Gerry Dorgan retires after 21 years as pastor; a native son becomes Bishop of Buffalo; and more Americans are self-identifying as pro-life. Marika Donders, of Keene, N.H.
Jeff Volkers of Goshen, N.H.